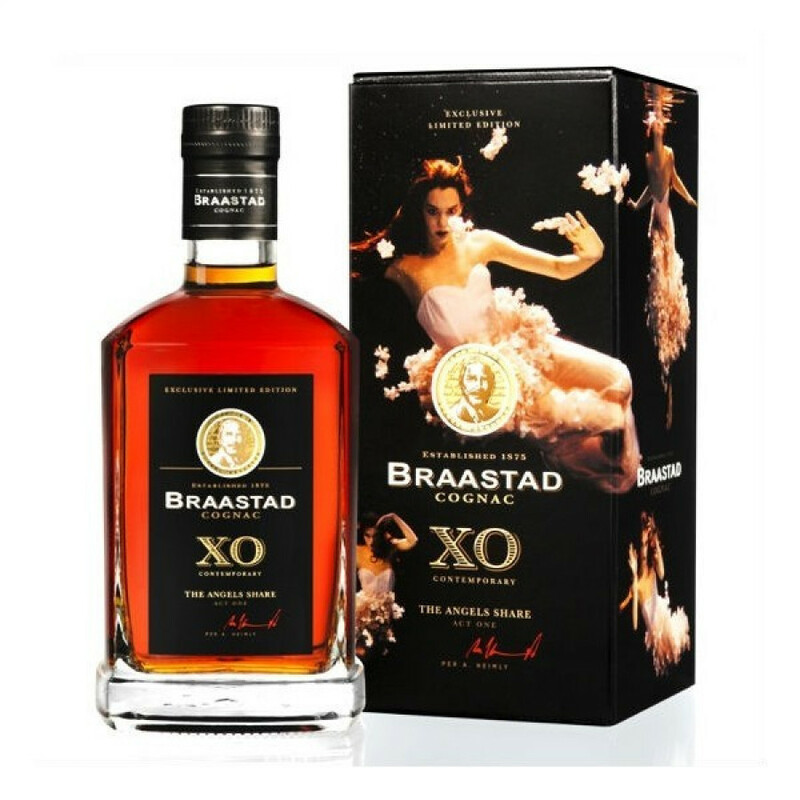 Braastad XO Superior Contemporary Art: Act One The Angel's Share is a specially designed limited edition bottle containing Braastad's XO Superior Cognac. The concept of Braastad XO Contemporary Art is to challenge Nordic artists to create a visual expression of what inspires them from the world of cognac. Act One – The Angels Share – is signed by the Norwegian Art Photographer, Per Heimly. Heimly is one of Norway’s most recognized photographers with a long track record in fashion and commercial works. The cognac within this wonderful bottle is one created by Master Blender, Richard Braastad. A complex blend, Richard handpicked very old cognacs from four of the six terroirs of Cognac. The result is a cognac that is very rich and powerful, yet harmonic and balanced.